Great Do It Yourself Landscaping Ideas? The do it yourself landscaping ideas you will find here are all about giving you, the proud do it yourself home owner, guidance into the different aspects of gardening and landscape design. I want to make sure that the investment you make today, will result in a beautiful landscaped area and give you enjoyment for many years to come. Landscaping design gives me immense pleasure, and for me it is one of the areas of home improvements I love to do myself. Do it yourself landscaping, and what I can create with my own hands, is one of the most satisfying and relaxing ways to while my time. I just love it when people admire something that is close to my heart, and I must admit landscaping and gardening are very close to mine. Whenever I have completed a new landscape design and someone says, whoa, I love what you have done here, it makes my heart feel truly happy. Beautiful outdoor landscaped areas creates a wonderful atmosphere for entertaining family and friends, where we make many, many good memories. And remember, if you ever want to sell your home, the way you implemented your landscaping ideas is the first impression the prospective buyers will get of what to expect from the rest of your home. If your landscape design and the implementation thereof creates the “whoa” effect, your home is as good as sold. There are many ways to increase the value of your home, and on this site you will get to know them all, but for me the best, the easiest and certainly the most satisfying is with do it yourself landscaping design. 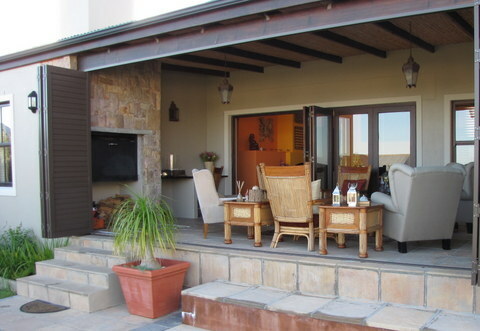 This is where you can let your imagination run free, and without to much expense you can create stunning outdoor areas. I always look at my garden and landscape as a work in progress. Your landscape design is something that will grow with you, and because it is quite easy to change and adapt as you go forward, you do not have to worry too much about having a perfect landscape design plan before you start. Landscaping and gardening is a long term project. atmosphere..... this is where your creative juices can really flow. You use all the above landscaping ideas mentioned and then you add things like lighting and the relaxing noise of flowing water to make each area really special. If you take care and plan and design your landscape well, it will transform your garden into a beautiful and functional outdoor living area that will not only give you great joy, but will truly add value to your home. Your do it yourself landscape design starts with an overall site plan. You must look at the bigger picture and take care to include all the aspects that you want to have in your landscape. Take care to blend your lifestyle into the overall effect you want to create and to extend the beauty and comfort from within your home out into the garden. How can your interior flow out into spaces like the following and entice your friends to explore? What landscaping ideas can you implement around your pool? What can you do to have an eco-friendly landscape, and still have a water feature at the same time? A lot of people will tell you that your landscape design plan must be a very detailed drawing of exactly what you want where and what atmosphere you want to create in each area, but I feel that it is not that important at this stage. Creativity is much more important. Creativity is a process rather than a sudden flash of inspiration. Of course you must decide where you want to have the water features, and where you would like to have electricity points for the lighting, etc. These are things that are not easily changed once your landscape has taken shape and is getting established. I agree that you must have the overall “feel” for what you want to create in your landscape, and your initial landscape design is very important, but do not worry too much about where you want to end. That will come with time. Landscaping is a cyclic process, and as you continue you will feel that you constantly want to improve or add certain elements. However, there are some basic principles to follow. Landscape design is very personal, and each landscaping enthusiast have different likes and dislikes. 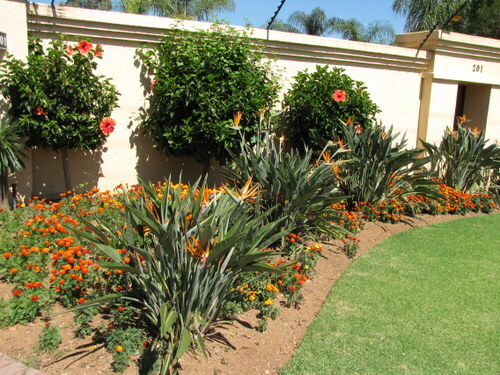 Great do it yourself landscaping design lies in the eye of the beholder, so make the design your own, and use these as guidelines more than principles. There is no right or wrong. So instead of me giving you the technical explanation of each principle, I will give you an understanding of how to apply each of the principles when you implement your do it yourself landscaping ideas. Then you may avoid some common mistakes that you may have made otherwise. The main purpose of your landscape design is to make the people, family and friends, enjoying the area, feel comfortable. It must be an area to relax in, somewhere enjoy nature after a hard day at the office. The best way to do that is to keep the overall feel of your landscape design simple. We cannot be happy and content if the area we want to relax in are too cluttered. Simplicity does not imply simplistic; neither does it mean that it should be boring or should lack in imagination. Not at all; it means that you don't use too many colours, and you keep away from too many shapes, curves, and angles. Each time you change shape or colour, complexity is introduced. Too many garden ornaments, or too many types of paving material, may spoil the look and feel of what you want to achieve. This is a common mistake many of us do it yourself landscaping enthusiasts make when we do their first design - we don't keep it simple. Select two or three colours, and repeat them through the garden. Make these colours complement your home. Keep to one specific theme throughout your design. Avoid complex paving patterns and shapes. Proportion refers to the size of elements in relation to each other. Much of our perception of proportion is influenced by how tall we are; or whether we are sitting or lying down. Your landscape's proportion must also take into account the size of your home, how big your yard is, and the size of the plants you will use. To maintain a proper size relationship, you must anticipate how family and friends will experience the proportions. If the trees are huge and looming overhead, people will feel smaller by comparison; even more so with children. Children will enjoy a play area where the plants and structures are scaled to their height. 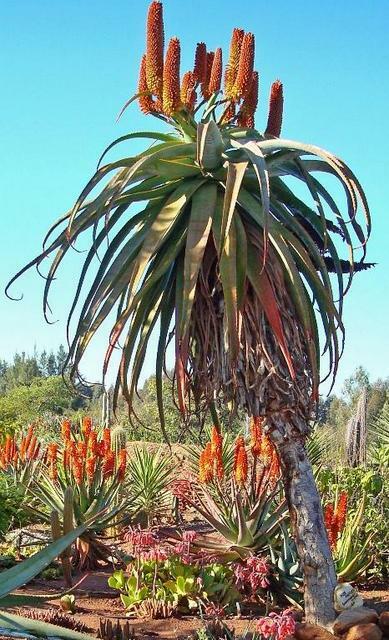 Small, low growing plants should not be planted adjacent to large, tall plants. Bring the canopy down in stages; tall, intermediate, small. That way the proportion between them will be acceptable to the human eye. Don't have huge open spaces separated by a small bed. The bed and plants must be in proportion with the size of the open spaces. If the size difference is apparent to the viewer, then the principle of proportion will be missing from the design. Repetition is the key to unity. Repetition creates unity by repeating alike elements. As people then move through your landscape, they get a feel for the overall design when plants and decor are repeated often enough. The easiest is to see how Bernice has done it here. She achieved exactly the right amount of unity between her inside and outside living areas. Repeat the same colours inside and outside your home. Continue the design themes from inside rooms to outside rooms. Use large glass doors to visually connect the indoor and outdoor areas. Raise the patio to door level, instead of steps down to the outside. Standardise the light fittings and furniture between the inside room and the patio. For me the most important thing when you design your landscape, is to create a focal point, or two or three, depending on the size of your garden. This principle of design positions visually strong items into the landscape. It should draw the viewers eye. 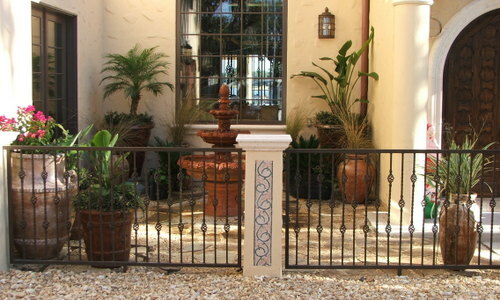 Focal points can be created by using plants, movement, a hardscape item, or colour. But be careful not to overuse this principle as it will create visual confusion within your landscape design. For most of us, a single focal point will be enough, unless you have a big area where you can add another focal point without creating visual confusion. The rule of thumb says that the two focal points should not be seen at the same time. They should not compete with each other. This is another common mistake many of us do it yourself landscaping enthusiasts make when we do their first design. What I like to do however, is to create shifting foal points. I have one strong focal point like a water feature, and then use colourful plants to add dimension during spring and autumn. You get many plants that are visually powerful in spring, but uninteresting during the rest of the year. Here are some detailed project descriptions that will help you to create your own designs, without having to hire a professional designer. To change from the house you have to the home you love!